The Maine Surf White collection combines New England style elegance with contemporary fashion, to create a timeless simplicity for bedroom furniture. The neutral pure white lacquered finish makes the Maine Surf White range suitable for any bedroom, leaving plenty of room for personalisation to make the room your own. The Maine Surf White Dressing Stool is the perfect partner for the Maine Surf White Dressing Table. 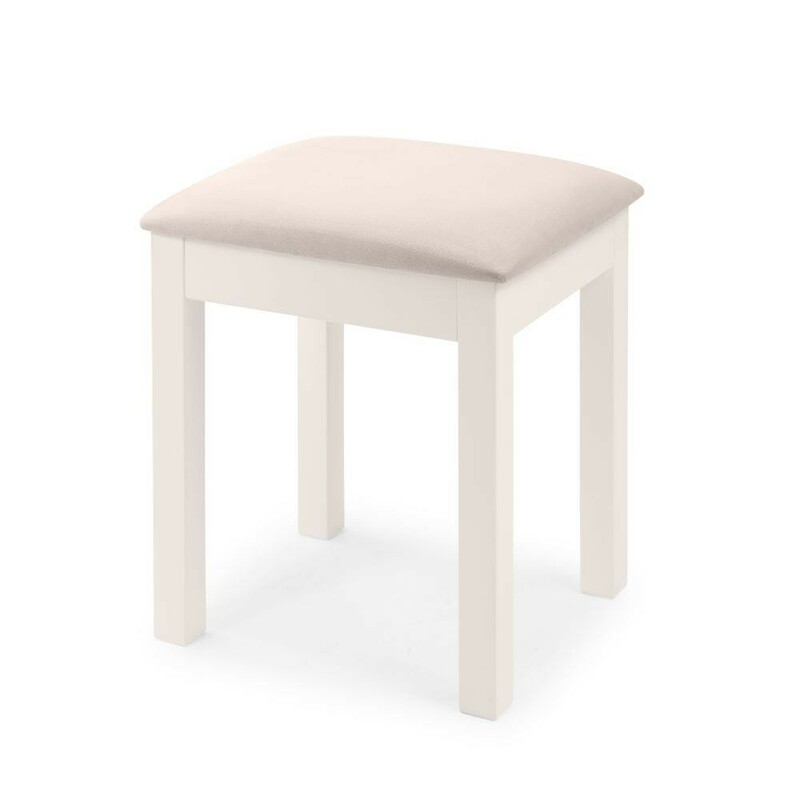 Built from sturdy solid pine material with MDF, the Maine Surf White Dressing Stool is a high quality construction. Features include an upholstered padded seat and surf white durable lacquer finish to ensure resistance. This strongly manufactured piece is the perfect sizing and style to attend the Maine Surf White Dressing Table, to complete the New England elegant style for your bedroom. The Maine Surf White Dressing Stool is easily self-assembled. Full instruction manual is provided to ensure minimum effort when building the stool.